BT Enterprise is boosting its leased-line broadband service with Cloud Meraki MX equipment to simplify management, improve security and offer more connectivity features from a single provider. Meraki equipment allows for the cloud-based management of wired and wireless network infrastructure on a single platform, easing deployment and reducing security risks. Cisco bought Meraki in 2012 as part of its expansion beyond networks into software. The Meraki-enabled BTnet is BT’s first ever cloud-managed enterprise service, delivering speeds of up to 10Gbps, Wi-Fi, LAN and additional security capabilities without the need to procure different appliances from different suppliers. This means it includes speeds of up to 10Gbps, integrated Wi-Fi, Guest Wi-Fi and LAN, and a security package comprising firewall, anti-malware, content filtering and intrusion detection and prevention. The service is billed as ‘plug-and-play’ with customer using an online portal to monitor their network and request changes to BT’s support teams if they need to scale up or down, or require new features. “A secure, reliable, high-speed internet connection is the cornerstone of any business,” declared Steve Best, head of enterprise products at BT. “With the launch of this new service, businesses looking to switch from broadband to a business-grade leased line service can upgrade more easily than ever before. 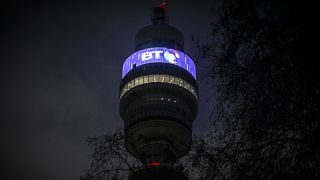 BT and Cisco extended their 25-year relationship last year with a new deal to help accelerate software-defined network (SDN) adoption and automation across BT’s customer base.